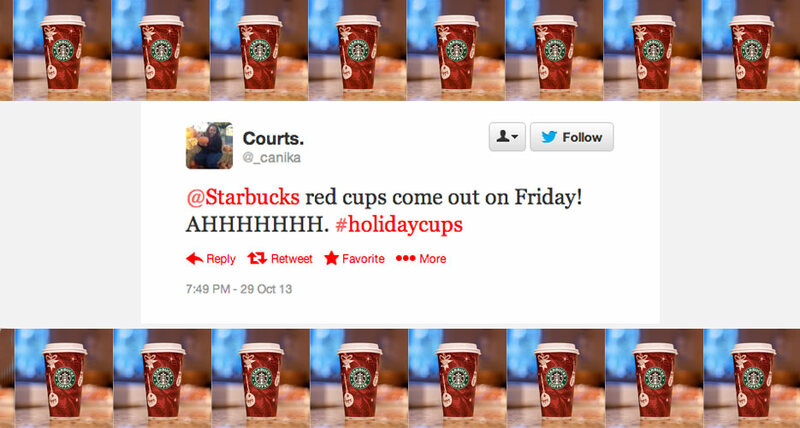 Customers go batshit crazy for Starbucks holiday cups adorned with snowflakes, snowmen, christmas ornaments, and the like. 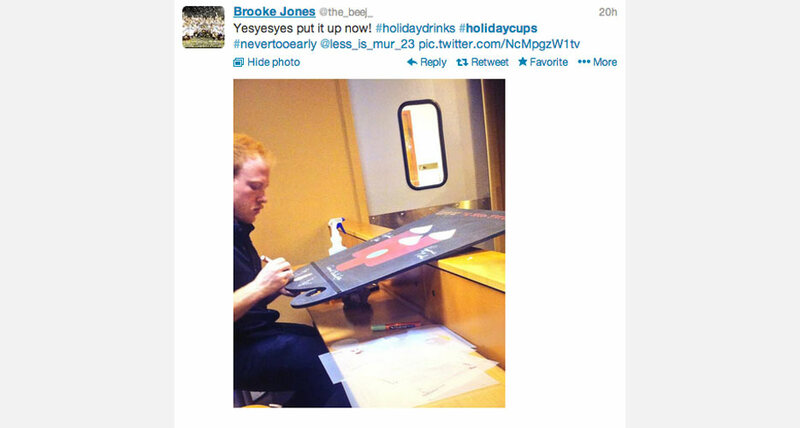 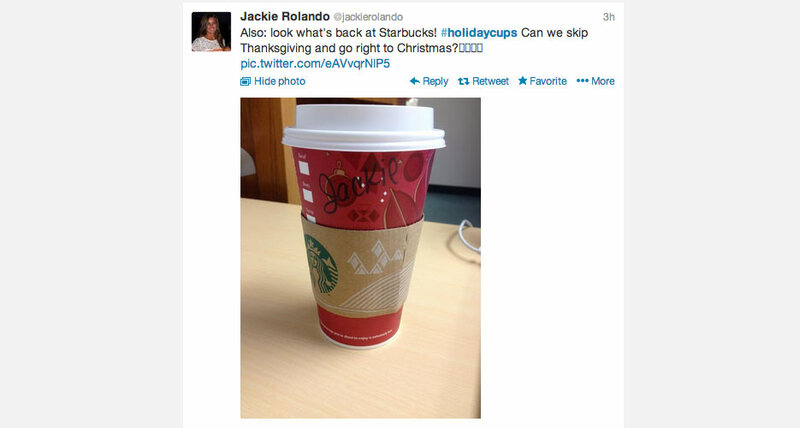 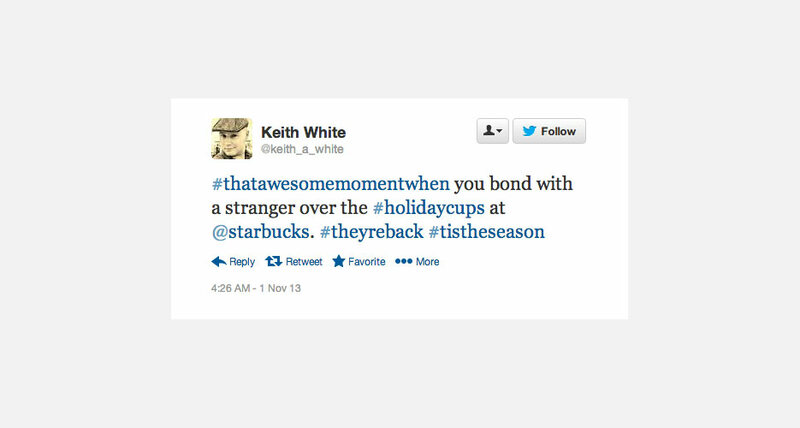 The coffee giant unleashed its 2013 holiday cups this morning, November 1st, and Twitter and Instagram are already rife with pictoral and written testaments of customers’ undying love for the red cups. 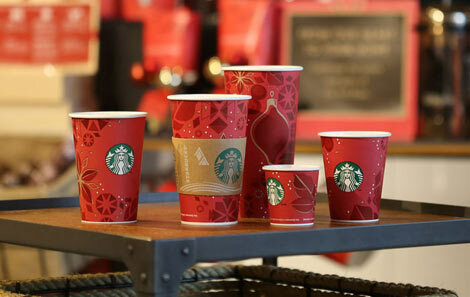 But not everyone loves Starbucks holiday cups. 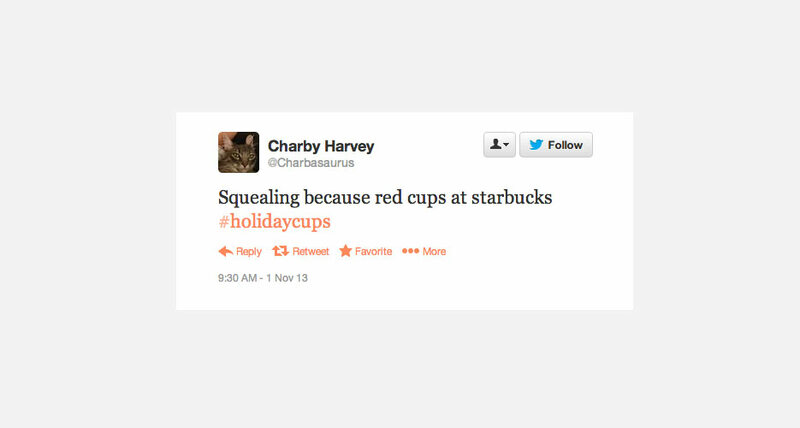 Some people dread the perennial #holidaycup frenzy, and are already sick of the whole gingerbread latte, pumpkin spice latte, and peppermint hot chocolate ordeal. 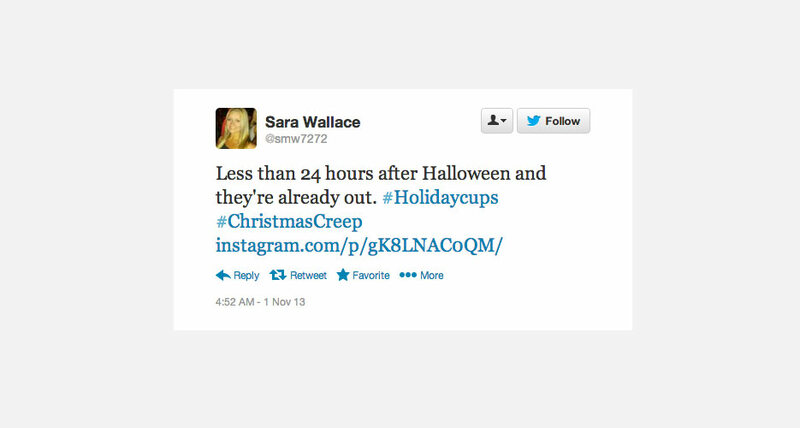 Their comments expressing annoyance and frustration over the holiday season are peppered throughout Tweets of excitement, bliss, and giddiness. 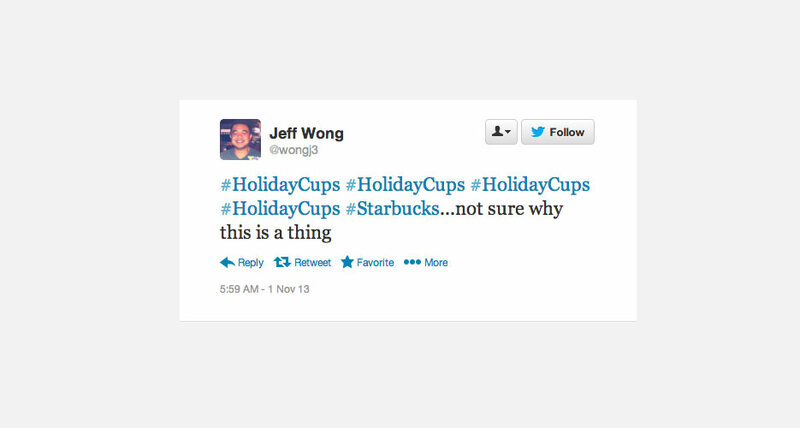 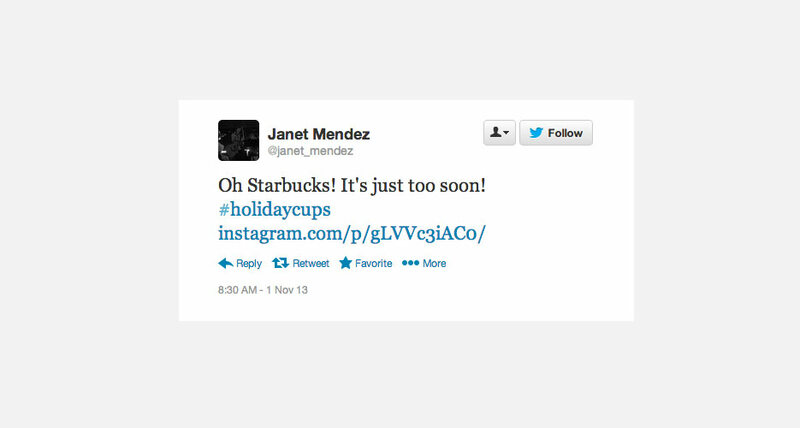 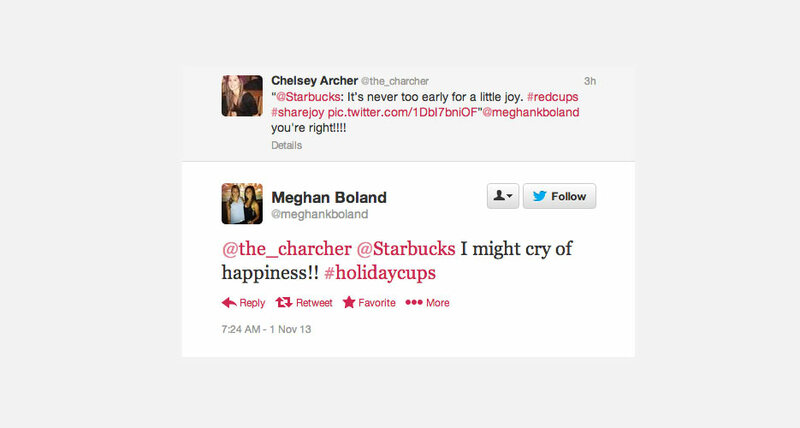 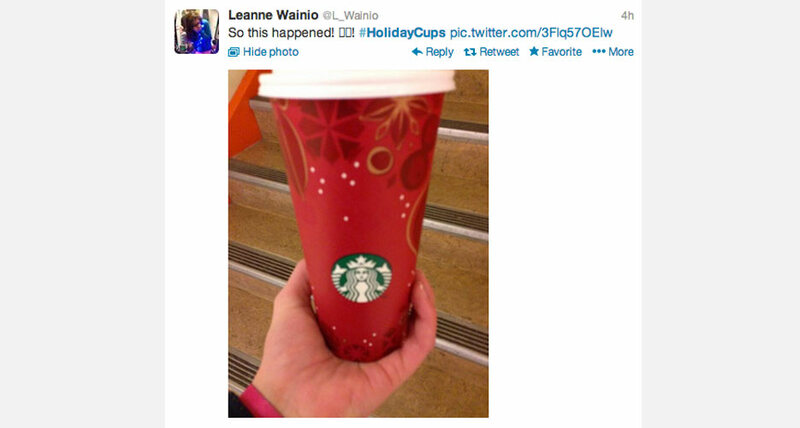 Click through the gallery to see the public’s polarized opinions of Starbucks #holidaycups, expressed via Twitter.